Do you know how much your retirement will cost? Have you considered how you will pay for it? Do you know how to generate the retirement income you’ll need? 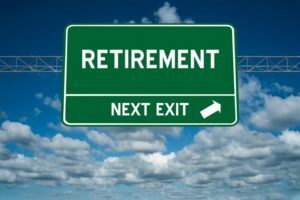 For many current and future retirees, these can be stressful questions which are often put off and left unanswered for too long. The last years of your career will be crucial savings years, but they can be perilous. On average, unemployed Americans 55 to 64 have been jobless for 11 months. So to help ensure you can work until your planned retirement date, lay the groundwork for a backup plan—whether it’s a short-term project, freelancing, or a business idea. If you’re close to retirement but don’t like the look of your balance, take heart. Most retirement advice and online calculators assume you are going to spend the same amount, adjusted for inflation, each year after you stop working. While some people may try to figure out how to spend less after retirement, many of us would rather figure out how to earn more. If you do not have enough money to retire on, then you better get with it. You can work until you die if you really enjoy what you do, but if you want to be able to relax and enjoy the company of your family, you better have a plan. The future is uncertain. There may be a world war. There may be a civil war. There may be both at the same time. The United States has incurred some rather serious debt and it seems that the democrats have no plan of ever repaying it. Kids born in 2016 held $42,000 in public debt the day they were born. It is far worse now and much of the unfunded debt is retirement plans. So if you have a 401(k) or other retirement plan based on stocks or bonds, you may actually have the shirt on your back with no money in it’s pocket if the economy collapses or if the banks decide to do a bail in this time instead of a bail out. They have already stated that they intend to do a bail in. A bail in is where they simply confiscate a percentage across the board of everyone’s savings. Hopefully, you have some precious metals stashed, but unless you have a couple year food storage, you may have a hard time eating your precious metal. Now, I don’t want to sound too alarming, here, but the truth is that there will be a war and the economy will fail. When? Nobody knows for sure, but it is not a matter of IF, it is a matter of WHEN. So, what is the easiest way to leverage your time and energy into a residual income with a very high profit potential, a very low cost to develop, and you can do it in your spare time if necessary? The answer is network marketing. Forget anything bad you ever heard about MLM. It is not a pyramid. It is not illegal. And it most certainly is not a get rich quick scheme. Multi-level Marketing has made many millionaires. None of them have ever said it was easy or quick. The majority of people that attempt to make MLM work, do not know how. They sponsor a couple friends or relatives and after 6 months or a year they still can’t afford a Maserati so they quit and tell everyone it is a scam. Liar, liar, pants on fire. The key to earning money in network marketing is to build a large customer base from which you earn a small commission on each one every month. Therefore, you want a good product. Preferably a GREAT product. The very last thing you want is some hokus pokus snake oil that is over priced and does not do what they say it does. You have to be honest, have integrity, and have a genuine desire to help people, if you expect people to buy a product every month. The very best product on the entire face of the earth right now in my opinion is CBD Oil. It is scientifically proven to be medically beneficial. Every human body has cbd receptors which affect the immune system and the brain and they have no other purpose whatsoever other than to react when coming into contact with cbd oil. This means that God created the hemp plant for the benefit of mankind and that He fully expected mankind to use it. It is legal in all 50 states. Actually, man does not have the authority to make God’s creations illegal, but that discussion is for another time. A simple Google search on cbd oil or hemp oil will reveal hundreds of thousands or perhaps even millions of testimonials in the search results. These people are not lying. Big Pharma does not want a cure for cancer or any other ailment that they can not patent. They can not patent God’s plant. The FDA has approved a synthetic oil which Big Pharma can manufacture and patent and Big Pharma has done so. 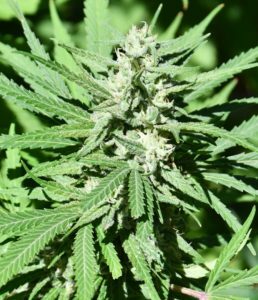 The real plant which God made, in natural form, is frowned on by government, but the fake stuff is perfectly legal and honorable in their opinion. Hempworx distributes cbd oil and hemp products which are government certified to not contain any THC. CBD Oil is a very hot product right now for thousands of reasons. Only recently has research been legal as a result of people that knew for a fact from personal experience that cbd is beneficial to hundreds or thousands of ailments. Consequently, some states have legalized medical marijuana which does contain THC and all states have legalized cbd from hemp which can not get you high and does not contain THC but has the medically proven benefits that people desire. The product is absolutely phenomenal. One has to have a strategy to build a large network of buyers even with a product second to none. This is where My Daily Choice has smoked the marketplace. They have designed a marketing program geared towards the new beginner. High commissions, fast start bonuses, and weekly and monthly checks. This allows a person to begin earning money from day one. Each affiliate receives multiple high definition personalized web sites to send prospective customers to. The company also supplies several personalized landing pages where a person enters their name and email to get the information. The company follows up on these leads daily. In many cases, the company closes them for you. This is a sales funnel. You send people to these pages and they join your team. The people that take a free tour can look in their back office and watch their organization grow before they have invested a single penny. They can see the personalized pages, the advertising, the tracking, the landing pages, learn how everything works, and see new people placed in their downline as they come in due to the efforts of their sponsor or other upline. People can be an affiliate or simply a customer. To take a FREE Tour, simply click on this link and enter your name to see if this business is for you. I already have hundreds in my downline and you can too. PREVIOUS POST Previous post: What home business can I start under $100, earn money right away, get paid weekly?